The CD200 Detector is used for the analysis of water Chemical Oxygen on Demand (COD). The unit is supplied with a built-in standard curve for HACH, CHEMetrics, or Lovibond reagents, but also features a simple method to set-up standard curves for other brands of reagents. 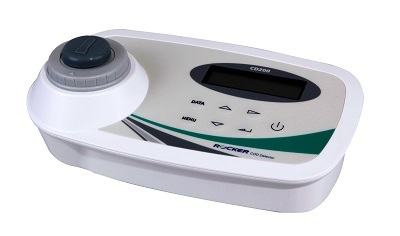 The CD200 has a broad measurement range, fast detection and a convenient built-in memory. Applications for the CD200 are wide ranging and include such tasks as waste water monitoring in factories, water quality tests in lakes, ponds and rivers, testing of water runoff.